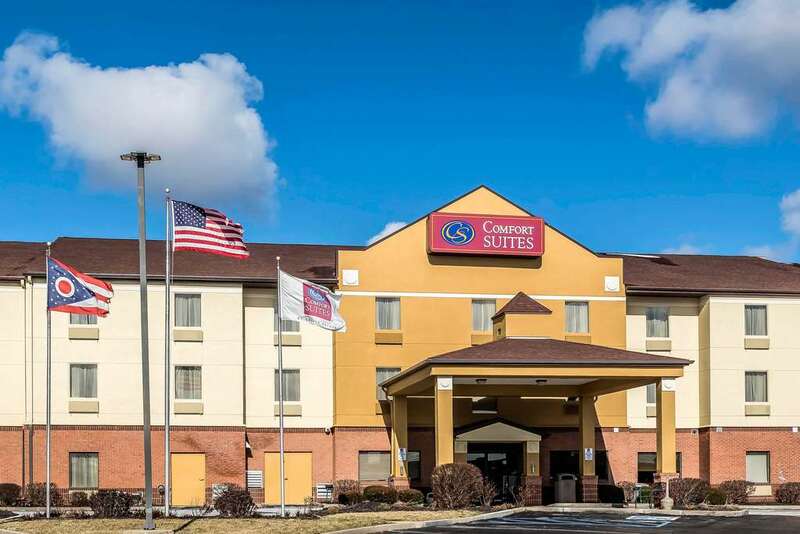 Rest and refresh at the 100 percent smoke-free Comfort Suites hotel in Miamisburg, OH. We are conveniently close to University of Dayton, Wright State University, Dayton Convention Center, Wright-Patterson AFB and Kings Island amusement park. Amenities include free WiFi, free parking, free hot breakfast, business and fitness centers and indoor heated pool. Behind every great day is a great night in your suite, which gives you 25 percent more of the space that you need to spread out and features a refrigerator, microwave and recharging device with AC and USB outlets. Also, earn rewards including free nights and gift cards with our Choice Privileges Rewards program.